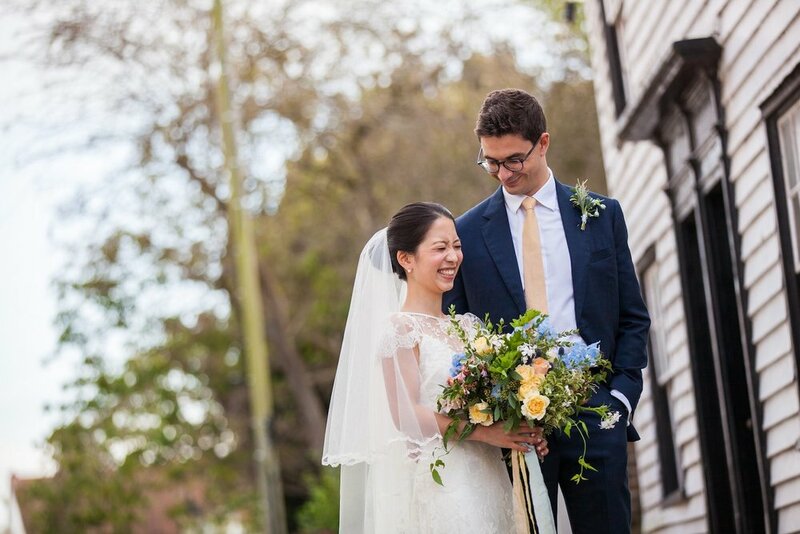 Natsuki and Dan’s September wedding set in Rye with its elegant, regency style surroundings. 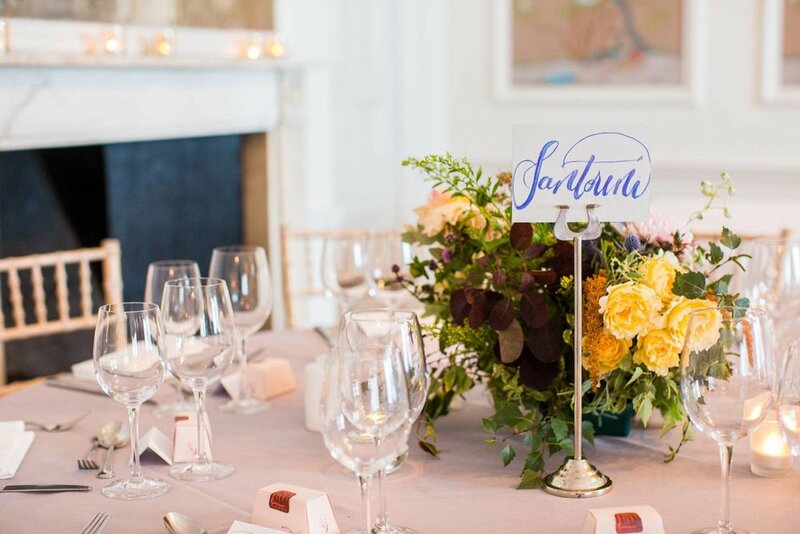 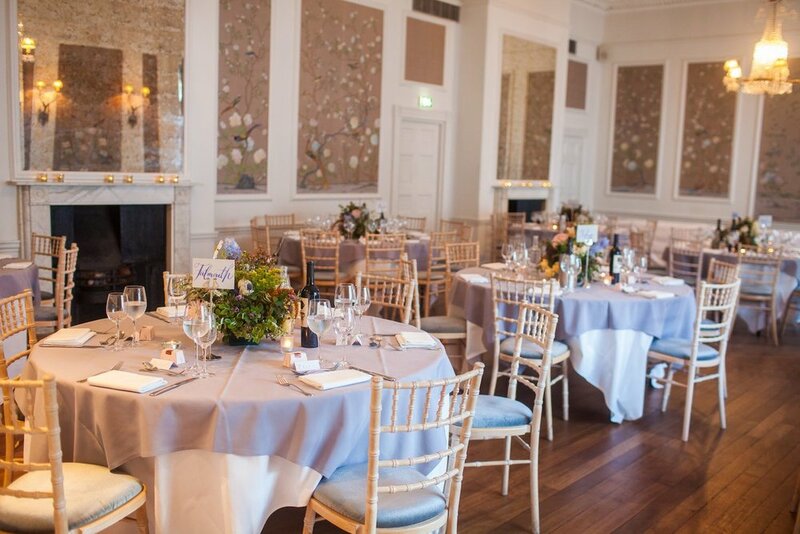 Floral decor inspired by the bride’s Japanese background and the oriental botanical wallpaper at the George Inn ballroom where the couple held their wedding reception. 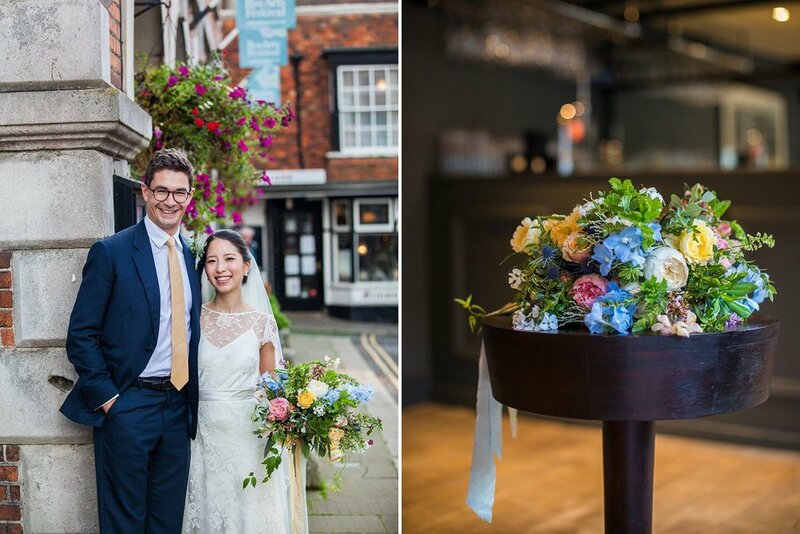 Pale late summer dahlias, roses mixed with autumnal chrysanthemums, trailing foliages set the scene at this elegant Sussex wedding.